MaptimeYVR is delighted to announce our next meetup event two weeks from now. 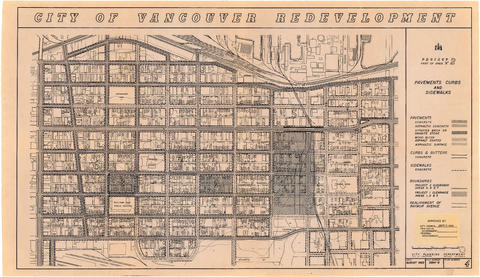 In what will be a change of pace from the usual meetups, MaptimeYVR will have a collaboration with the City of Vancouver Archives to learn more about the Archives’ work in preserving the City’s open data (and, in particular) geodata. There will be a presentation detailing the Archives’ preservation work, extensive historic map collection (including the recently digitized and publicly viewable Goad’s fire insurance map, the digitization program, as well as a discussion of future dream projects. Following the presentation there will be time for questions and discussion as well as opportunities to view the historic maps available in the Reading Room. There will be some light refreshments and a chance to mingle at the start while everyone has a chance to find the venue. Please note the venue as this event will be hosted by the City of Vancouver Archives (1150 Chestnut St by Vanier Park in Kitsilano). This is a FREE community event open to everybody, and as space is limited we ask that interested attendees confirm their attendance as soon as possible by registering for a ticket. A huge thank you goes out to Sue Bigelow at the City of Vancouver Archives and everybody else at the Archives for spearheading this idea and making this event possible. 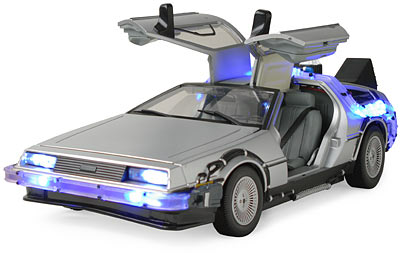 Maps are timemachines too! Come find out how! The aftermath of the 7.8-magnitude earthquake that struck Nepal at 11.56 am on 25 April was chaotic. The quake struck at a depth of 9.3 miles, and combined with the tremors and aftershocks that followed has killed at least 5,000 people. That number is still growing. In addition to donating to a relief effort, you can help Humanitarian Open Street Map Team (HOT) remap the area. 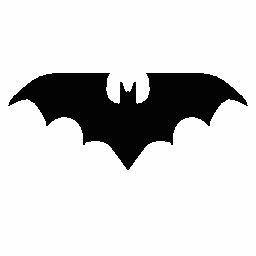 MaptimeHQ turned on the batsignal two days ago, mobilizing all chapters to assist in #HOTforNepal effort. MaptimeYVR therefore spent Tuesday evening searching and plotting map features, and learning from each other as we went along. Thanks to the brilliant presentation by Clifford Snow last time, the majority of our members were familiar with the OpenStreetMap process. It is a great cause to contribute to, with caution: incorrect identification can hurt more than it helps, like a lining a road where there is only a path and therefore difficult for cars to access. A good rule of thumb is to pick task appropriate for your skill level, and if you’re unsure of what you’re looking at, ask for help, or move on to the next task. "If you can’t find something easy to do for the Nepal earthquake relief, find another easy task for another area that needs mapping!! "Making this data takes time, and every little bit helps. Sometimes after the initial media surge following a disaster, people forget about it. But places like Haiti still need help years after their earthquake. The Red Cross often gets too much blood after a disaster, and then is left shorthanded when there is no longer media around an event. All that to say, any bit that you help, for any instance that needs it, is amazing!" 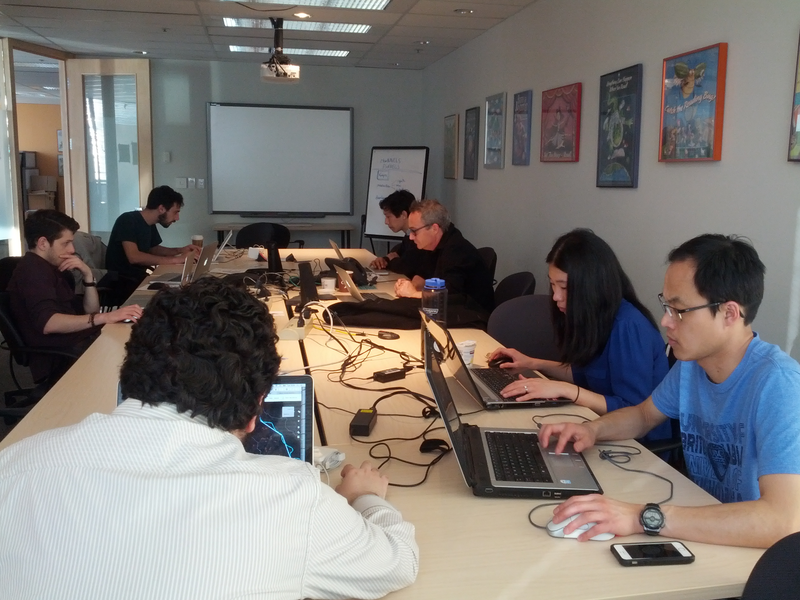 Again, thanks to the BC Libraries Cooperative for powering our meetups. Maptime is for everyone regardless of background, technical skill. Maptime is for you! We welcome anyone wanting to share, learn, and teach anything related to cartography. Shoot us an email (maptimeYVR@gmail.com), or give us a tweet, and we will get back to you! March Meetup - Project Night! Come on over to our next Project Night, for some mapping, hacking, chatting and freestyle learning. Bring your own projects and connect to the hivemind to see what others are working on. If you don’t have a project of your own, but still want to learn and do maps, we will also be continuing our shared project making a How-to for crowdsourced mapdata. Sound interesting? Join us, and we will tell you all about it! Or, if you have no idea about anything of what was just mentioned, but you’re still curious about Maptime, come and bring all your questions! Bring your laptop, and as always, beginners are very welcome. Arrive before 6, and the doors will be open, and the elevator takes you to the 8th floor, no questions asked. If you’re late and find yourself locked out, let us know, at maptimeyvr@gmail.com and we will come down and get you. Thanks again to Liam Whalen and the rest of BC Libraries Coop. You are the basemap to our polygons - we couldnt project without you. So many good things happend at this week’s maptime! Joey gave us a stellar tour of tilemill and mapbox, and for those of you who missed it (where were you?! ), check out Joey’s Hello Webmaps tutorial on GitHub. 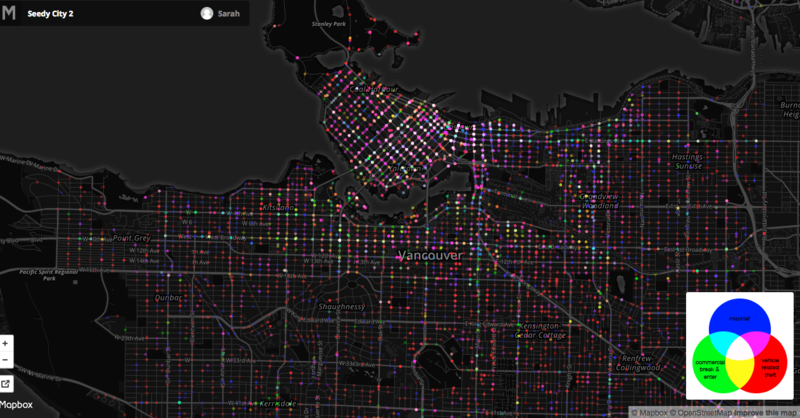 We mapped some of the seedy stuff that went down in Vancouver in 2013, and you can see how good it looks (visually, not morally)! Thanks Joey. 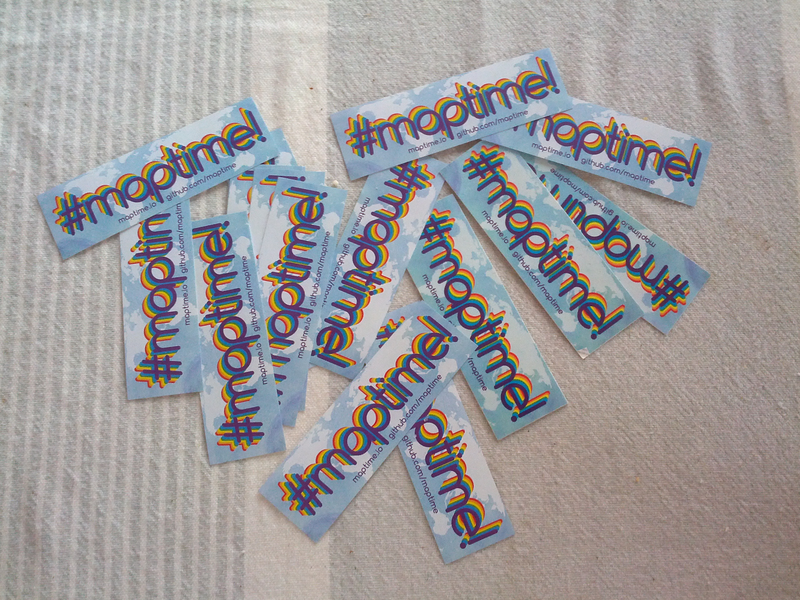 And as if that weren’t enough, there were brand new stickers, brought to us by Alan from the Maptime HQ (who also upped our twitter game - we might just have been trending for a while there)! Again, thanks to the BC Libraries Cooperative for providing space, wifi and power - you guys rock! Our next meeting will be a project night, on Tuesday March 31st. Stay tuned for more info! Maptime Meetup - Maps, boxes and tiles, Oh my! Join us Tuesday March 17th for the next MaptimeYVR! Joey will be teaching us some of the (many) things he knows about the inner workings of Tilemill and Mapbox. We will be walking away with some good-looking maps at the end! Joey (and the City) will provide the data, but before you arrive, sign up for Mapbox and install Tilemill on your machine (links above), so we can get right to it. Our events wouldn’t be possible without the generous Liam Whalen and the rest of BC Libraries Coop. Thank you! If you for some inexplicable reason are late for the most fun meetup of the week, and find yourself locked out, let us know, at maptimeyvr@gmail.com and we will come down and get you.